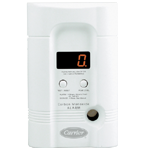 A monitored carbon monoxide detector will alert you if high levels of this deadly gas are detected. Local building ordinances require the installation of carbon monoxide detectors in your home. 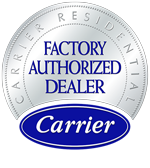 An expert technician from Air Conditioning & Heating Service Company can properly install your CO detector and ensure it's functioning correctly. An expert technician from Air Conditioning & Heating Service Company can properly install your CO detector and ensure it's functioning correctly.